Asan, Guam is located in the southern part of the island. The area is quite large and is commonly broken down into two portion. The main village along the western coast is Asan, and its neighboring community between Nimitz Hill and Agana Heights is called Maina. The village is five minutes away from the US Naval Hospital in Agana Heights. To get to the Naval Base in Santa Rita, it will take you nine minutes. If you want to travel to the central, downtown area of Tamuning, it would take you about ten minutes. There are no schools located in the village, but there are buses that do stop in the Asan-Maina. The buses serve all students who will be attending DoDea schools, public school, and private schools in other villages. Route 1, commonly referred to as Marine Corps Drive, passes right along Asan so it is fairly easy to get through the village. 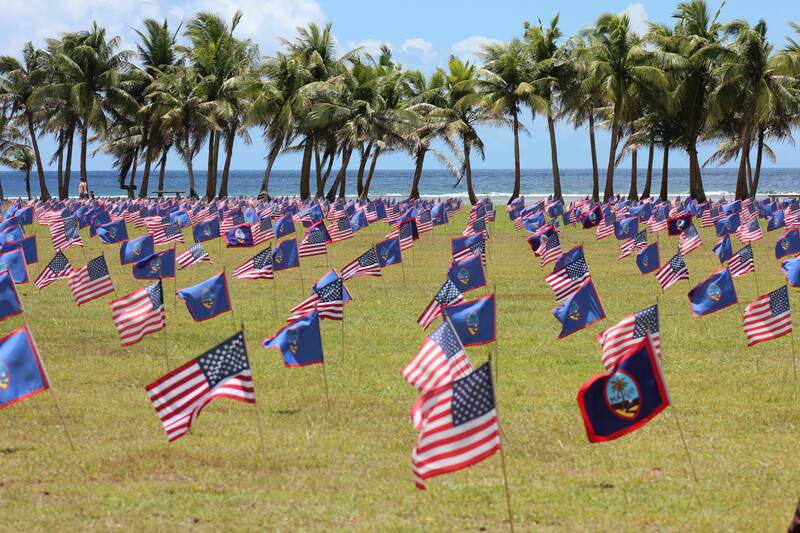 Stop by the Asan Beach Park, War in the Pacific National Park. Located right by the sea, the park is the site of the American northern landing beach in World War II. There are many remnants of the war that are still in the park, such as the two Japanese gun emplacements. Underwater, remains some American military equipment and coral-encrusted ordinances. One of the features of this historical park is the beautiful panoramic view. Its large recreational area is nice for a good family picnic by the sea, with the sun, and the island breeze. The wind is constant in the park, making it perfect for a kite day or kiteboarding for the daring. Many runners, joggers, skaters, and picnic goers head down to the park just before dawn to end their day. Asan, Guam is truly a beautiful and breathtaking piece of paradise. Up the road from the Asan Beach Unit, is the Asan Bay Overlook. The overlook has a memorial wall of those who died on Guam during WWII. The overlook has a lookout area with beautiful panoramic views of Guam and its ocean. Asan, Guam is a great place for a family. Its tight community is great to meet new people and make some friends. Its outdoor recreational area is a good place for any family to spend some time together and just enjoy the island life. Watch the kids play at the park, sit back, relax, and enjoy everything the island has to offer you.